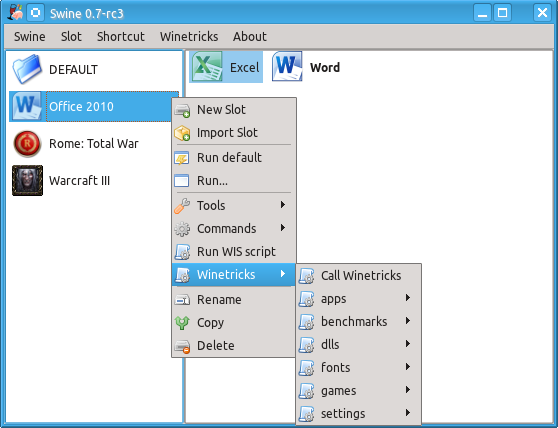 Wine is a software environment for Linux that enables the execution of Windows software. 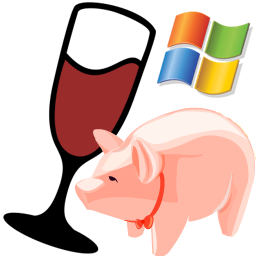 Wine uses public specifications and reverse engineering to provide a compatible version of the Windows API without using any code from Microsoft, i.e. wine users do not need a Windows license. Wines compatibility is constantly being improved and wine is already able to run lots of Windows software. The Wine AppDB contains an extensive list of applications together with hints on how to run them.